Google’s Pixel 3 event is merely hours away and we’re still hearing details on the device. 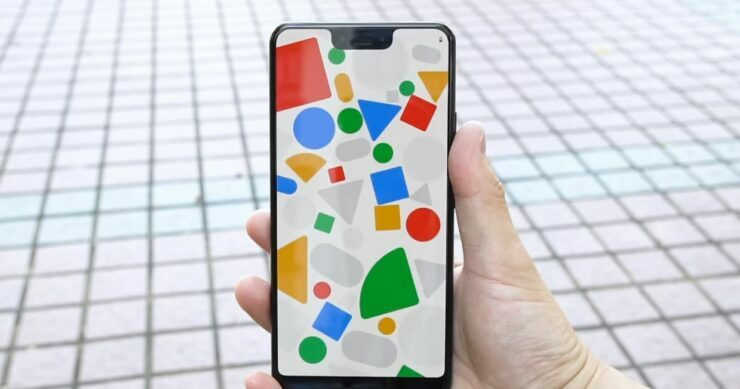 The device has been thoroughly leaked in terms of its design and display. However, there are a plethora of features which are still undiscovered. Now, new leaks have emerged highlighting the AI camera features of the device. Some of these features include “Top Shot”, “Photobooth”, “Super Res Zoom” and much more. Let’s dive in to see some more details on what the upcoming Pixel 3 camera is capable of. 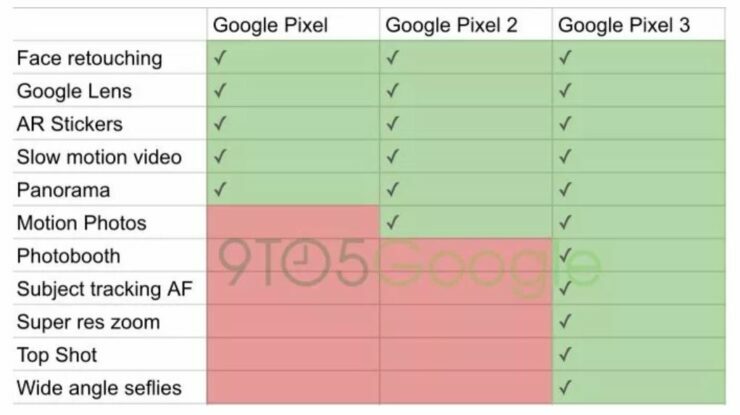 As we have mentioned earlier, there are a bunch of new AI features in the camera department which will make Google Pixel 3 one of the best cameras on a smartphone. So let’s check what these features are and how they would contribute to enhancing image quality. The first feature is “Top Shot” which will be exclusive to the Google Pixel 3. Upon pressing the shutter button, the camera will capture several frames just before and after. Google’s machine learning will then devise the best photos from the shot. Machine learning takes into account certain factors for selecting the best photos which include smiles, open eyes, and whether the subject is looking at the camera. The Top Shot feature also takes less space as it takes certain steps by decreasing the resolution of unimportant portions of the picture while keeping the key portions at full resolution. The quality is reduced almost to 3-megapixels. The camera will provide a “Smart Capture” suggestion pill and can also swipe up on the photo to go to “Smart Captures”. Photobooth is another important feature in the camera department oriented towards the front-facing selfie camera. Since the device is said to feature dual front-facing cameras, enhanced selfie shots will be achieved by a feature called “Photobooth”. 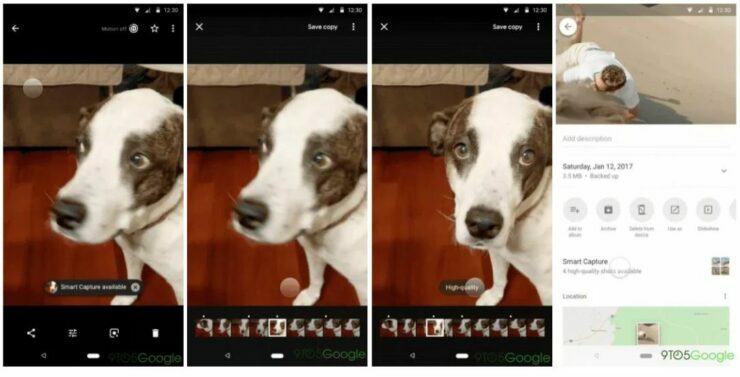 The feature will automatically curate the best shots and take the images similar to Google Clips. Photobooth searches for the best shots corresponding to the subject. Google ‘s AI capabilities, which we’re all familiar with, are oart of the mix as well. It will take pictures when people in the frame are smiling, sticking their tongues out, winking or even making a funny face. Another major upgrade in the camera department for Pixel 3 is “Super Res Zoom” which is similar to the AI-zoom feature, according to the person familiar with the matter. Details on the feature are pretty scarce at this time but it looks as if Google’s new algorithm will create artificial detailing when zooming in a photo. The Pixel 3 will feature dual front-facing cameras. According to the leaks, one of them is a wide-angle lens which will capture more compared to the standard selfie shooter. Another addition is subject tracking autofocus. This will allow the camera to track the subject and then adjust the focus automatically rather than setting it manually. These are all the leaks for the Google Pixel 3 camera and all past features will also be part of the mix. We can see that there are several improvements and new additions and camera is one of the major focus of the company for its device to be a hit. There will be more to the story so be sure to stay tuned in for more details. We will be covering the event extensively so do stick around with us. This is it for now, folks. Share your thoughts on the new Pixel 3 camera features below.